TransCelerate: Pharma's great kumbaya moment? Last week, 10 of the largest pharmaceutical companies caused quite a hullaballoo in the research world with their announcement that they were anteing up to form a new nonprofit entity “to identify and solve common drug development challenges with the end goals of improving the quality of clinical studies and bringing new medicines to patients faster”. The somewhat-awkwardly-named TransCelerate BioPharma immediately got an enthusiastic reception from industry watchers and participants, mainly due to the perception that it was well poised to attack some of the systemic causes of delays and cost overruns that plague clinical trials today. Over the past few days, though, I've had time to re-read and think more about the launch announcement, and dial down my enthusiasm considerably. I still think it’s a worthwhile effort, but it’s probably not fair to expect anything that fundamentally changes much in the way of current trial execution. Mostly, I’m surprised by the specific goals selected, which seem for the most part either tangential to the real issues in modern drug development or stepping into areas where an all-big-pharma committee isn’t the best tool for the job. I’m also very concerned that a consortium like this would launch without a clearly-articulated vision of how it fits in with, and adds to, the ongoing work of other key players – the press release is loaded with positive, but extremely vague, wording about how TransCelerate will work with, but be different from, groups such as the CTTI and CDISC. The new organization also appears to have no formal relationship with any CRO organizations. Given the crucial and deeply embedded nature of CROs in today’s research, this is not a detail to be worked out later; it is a vital necessity if any worthwhile progress is to be made. Five projects have been selected by the group for funding and development, including: development of a shared user interface for investigator site portals, mutual recognition of study site qualification and training, development of risk-based site monitoring approach and standards, development of clinical data standards, and establishment of a comparator drug supply model. Depending on how it’s implemented, the impact of this could range from “mildly useful” to “mildly irksome”. Sure, I hear investigators and coordinators complain frequently about all the different accounts they have to keep track of, so having a single front door to multiple sponsor sites would be a relief. However, I don’t think that the problem of too many usernames cracks anyone’s “top 20 things wrong with clinical trial execution” list – it’s a trivial detail. Aggravating, but trivial. Worse, if you do it wrong and develop a clunky interface, you’ll get a lot more grumbling about making life harder at the research site. And I think there’s a high risk of that, given that this is in effect software development by committee – and the committee is a bunch of companies that do not actually specialize in software development. In reality, the best answer to this is probably a lot simpler than we imagine: if we had a neutral, independent body (such as the ACRP) set up a single sign-on (SSO) registry for investigators and coordinators, then all sponsors, CROs, and IVRS/IWRS/CDMS can simply set themselves up as service providers. (This works in the same way that many people today can log into disparate websites using their existing Google or Facebook accounts.) TransCelerate might do better sponsoring and promoting an external standard than trying to develop an entirely new platform of its own. This is an excellent step forward. It’s also squarely in the realm of “ideas so obvious we could have done them 10 years ago”. Forcing site personnel to attend multiple iterations of the same training seminars simply to ensure that you’ve collected enough binders full of completion certificates is a sad CYA exercise with no practical benefit to anyone. This will hopefully re-establish some goodwill with investigators. However, it’s important to note that it’s pretty much a symbolic act in terms of efficiency and cost savings. Nothing wrong with that – heaven knows we need some relationship wins with our increasingly-disillusioned sites – but let’s not go crazy thinking that the represents a real cause of wasted time or money. In fact, it’s pretty clear that one of the reasons we’ve lived with the current site-unfriendly system for so long is that it didn’t really cost us anything to do so. The consensus belief and hope is that risk-based monitoring is the future of clinical trials. Ever since FDA’s draft guidance on the topic hit the street last year, it’s been front and center at every industry event. It will, unquestionably, lead to cost savings (although some of those savings will hopefully be reinvested into more extensive centralized monitoring). It will not necessarily shave a significant amount of time off the trials, since in many trials getting monitors out to sites to do SDV is not a rate-limiting factor, but it should still at the very least result in better data at lower cost, and that’s clearly a good thing. So, the big question for me is: if we’re all moving in this direction already, do we need a new, pharma-only consortium to develop an “approach” to risk-based monitoring? First and foremost, this is a senseless conversation to have without the active involvement and leadership of CROs: in many cases, they understand the front-line issues in data verification and management far better than their pharma clients. The fact that TransCelerate launched without a clear relationship with CROs and database management vendors is a troubling sign that it isn’t poised to make a true contribution to this area. In a worst-case scenario, TransCelerate may actually delay adoption of risk-based monitoring among its member companies, as they may decide to hold off on implementation until standards have been drafted, circulated, vetted, re-drafted, and (presumably, eventually) approved by all 10 companies. And it will probably turn out that the approaches used will need to vary by patient risk and therapeutic area anyway, making a common, generic approach less than useful. Finally, the notion that monitoring approaches require some kind of industry-wide “standardization” is extremely debatable. Normally, we work to standardize processes when we run into a lot of practical interoperability issues – that’s why we all have the same electric outlets in our homes, but not necessarily the same AC adaptors for our small devices. It would be nice if all cell phone manufacturers could agree on a common standard plug, but the total savings from that standard would be small compared to the costs of defining and implementing it. That’s the same with monitoring: each sponsor and each CRO have a slightly different flavor of monitoring, but the costs of adapting to any one approach for any given trial are really quite small. Risk-based monitoring is great. If TransCelerate gets some of the credit for its eventual adoption, that’s fine, but I think the adoption is happening anyway, and TransCelerate may not be much help in reality. This is by far the most baffling inclusion in this list. What happened to CDISC? What is CDISC not doing right that TransCelerate could possibly improve? It’s really worth noting that the first part of that quote has nothing to do with the second part. If I could wave a magic wand and instantly standardize all companies’ gender reporting, I would not have reduced clinical trial expenditures by 0.01%. Even if we extend this to lots of other data elements, we’re still not talking about a significant source of costs or time. Here’s another way of looking at it: those companies that are conducting the other 62% of trials but are only responsible for 30% of the spending – how did they do it, since they certainly haven’t gotten together to agree on a standard format for gender coding? But the main problem here is that TransCelerate is encroaching on the work of a respected, popular, and useful initiative – CDISC – without clearly explaining how it will complement and assist that initiative. Neil’s quote almost seems to suggest that he plans on supplanting CDISC altogether. I don’t think that was the intent, but there’s no rational reason to expect TransCelerate to offer substantive improvement in this area, either. This is an area that I don’t have much direct experience in, so it’s difficult to estimate what impact TransCelerate will have. I can say, anecdotally, that over the past 10 years, exactly zero clinical trials I’ve been involved with have had significant issues with comparator drug supply. But, admittedly, that’s quite possibly a very unrepresentative sample of pharmaceutical clinical trials. I would certainly be curious to hear some opinions about this project. I assume it’s a somewhat larger problem in Europe than in the US, given both their multiple jurisdictions and their stronger aversion to placebo control. I really can’t imagine that inefficiencies in acquiring comparator drugs (most of which are generic, and so not directly produced by TransCelerate’s members) represent a major opportunity to save time and money. It’s important to note that everything above is based on very limited information at this point. The transcelerate.com website is still “under construction”, so I am only reacting to the press release and accompanying quotes. However, it is difficult to imagine at this point that TransCelerate’s current agenda will have more than an extremely modest impact on current clinical trials. At best, it appears that it may identify some areas to cut some costs, though this is mostly through the adoption of risk-based monitoring, which should happen whether TransCelerate exists or not. I’ll remain a fan of TransCelerate, and will follow its progress with great interest in the hopes that it outperforms my expectations. 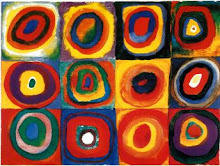 However, it would do us all well to recognize that TransCelerate probably isn’t going to change things very dramatically -- the many systemic problems that add to the time and cost of clinical trials today will still be with us, and we need to continue to work hard to find better paths forward. Mayday! Mayday! 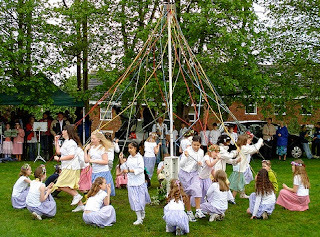 Photo credit: "Wheatley Maypole Dance 2008" from flikr user net_efekt. Placebo Control is going purple today in support of Alzheimer’s Action Day. The headlines so far this year have been dominated by the high-profile and incredibly expensive failures of bapineuzumab and solanezumab. However, these two are just the most recent of a long series of failures: a recent industry report tallies 101 investigational drugs that that have failed clinical trials or been suspended in development since 1998, against only 3 successes, an astonishing and painful 34:1 failure rate. While we are big fans of the Alzhemier’s Association (just down the street from Placebo HQ here in Chicago) and the Alzheimer’s Foundation of America, it’s important to stress that the single most important contribution that patients and caregivers can make is to get involved in a clinical trial. That same report lists 93 new treatments currently being evaluated. As of today, the US clinical trials registry lists 124 open trials for AD. Many of these studies only require a few hundred participants, so each individual decision to enroll is important and immediately visible. collecting a vast amount of data – blood, cerebrospinal fluid, MRIs, and PET scans – on hundreds of AD patients and matched controls. Best of all, all of the data collected is published in a free, public database hosted by UCLA. Additional funding has recently led to the development of the ADNI-2 study, which will enroll 550 more participants. Without a doubt, finding and testing effective medications for Alzheimer's Disease is going to take many more years of hard, frustrating work. It will be a path littered with many more failures and therapeutic dead-ends. Today's a good day to stop and recognize that fact, and strengthen our resolve to work together to end this disease. Two recent articles on placebo effects caught my attention. Although they come to the topic from very different angles, they both bear on the psychological mechanisms by which the placebo effect delivers its therapeutic payload, so it seems worthwhile to look at them together. Placebo delivery: there's got to be a better way! The studies’ premises were pretty straightforward: placebo effects are (at least in part) caused by conditioned responses. In addition, psychologists have demonstrated in a number of studies that many types of conditioned responses can be triggered subliminally. Therefore, it might be possible, under certain circumstances, to elicit placebo/nocebo responses with nothing but subliminal stimuli. And that, in effect, is what the studies demonstrate. The first showed a placebo effect in patients who had been trained to associate various pain levels with pictures of specific faces. The second study elicited a (somewhat attenuated) placebo response even when those pictures were shown for a mere 12 milliseconds – below the threshold of conscious recognition. This gives us some preliminary evidence that placebo effects can be triggered through entirely subconscious mental processes. Our results thereby translate the investigation of nonconscious effects to the clinical realm, by suggesting that health-related responses can be triggered by cues that are not consciously perceived, not only for pain … but also for other medical problems with demonstrated placebo effects, e.g., asthma, depression, and irritable bowel syndrome. Understanding the role of nonconscious processes in placebo/nocebo opens unique possibilities of enhancing clinical care by attending to the impact of nonconscious cues conveyed during the therapeutic encounter and improving therapeutic decisions. So, the clinical relevance for these findings depends on how much you believe that precisely repeated blasts of pain faithfully replicate the effects of physician/patient interactions. I do not think I am being terribly skeptical when I say that I think clinical interactions are usually shorter and involve a lot more ambiguity – I am not even sure that this is a good model for placebo analgesia, and it certainly can’t be considered to have an lot of explanatory explanations for placebo effects in, eg, depression trials. The healing can occur without outside assistance — as the placebo effect in drug studies shows — or it can augment whatever medication or procedure you might also prescribe. I believe it is the human qualities of attention and caring that trigger the placebo effect. These exist parallel to the provider’s ability to diagnose and select an appropriate medical treatment. You can arrive at the correct diagnosis and treatment and not trigger a placebo effect. You can fail to make eye contact, write out a prescription, hand it to the patient and walk out the door. Right answer — no placebo effect. Your skills as a placebologist rely on the ability to create the expectation of healing in the patient. This is most definitely part of the art of medicine. Drummond ponders whether new technologies will be able to elicit placebo responses in patients, even in the complete absence of human-to-human interaction. I think the answer is “probably, somewhat”. We certainly have some evidence that physicians can increase placebo effects through explicit priming; it would seem logical that some of that work could be done by an iPad. Also, the part of the placebo effect that is patient-driven -- fed by their preexisting hopes and expectations – would seem to be transferrable to a non-personal interaction (after all, patients already derive placebic benefit from homeopathic and other ineffective over-the-counter cures with no physician, and minimal human, input). The bottom line, I think, is this: we oversimplify the situation when we talk about “the” placebo effect. Placebo response in patients is a complex cluster of mechanisms, some or all of which are at play in each individual reaction. 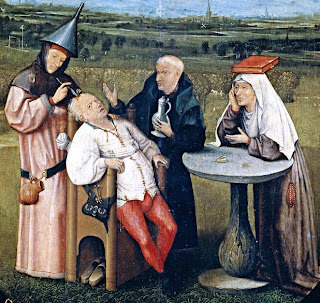 On the patient’s side, subconscious hope, conscious expectations, and learned associations are all in play, and may work with or against each other. The physician’s beliefs, transmitted through overt priming or subtle signals, can also work for or against the total placebo effect. There is even good evidence that placebo analgesia is produced through multiple distinct biochemical pathways, so proposing a single simple model to cover all placebo responses will be doomed to failure. The consequence for clinical trialists? I do not think we need to start fretting over subliminal cues and secret subconscious signaling, but we do need to develop a more comprehensive method of measuring the impact of multiple environmental and patient factors in predicting response. The best way to accomplish this may be to implement prospective studies in parallel with existing treatment trials to get a clearer real-world picture of placebo response in action. Absolute required reading for anyone who designs protocols or is engaged in recruiting patients into clinical trials: Susan Guber writes eloquently about her experiences as a participant in cancer clinical trials. 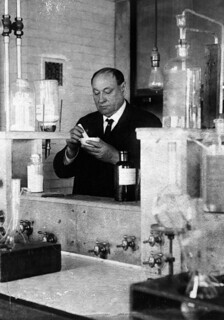 Wiley, leader of the famed FDA "Poison Squad". The popular press in India continues to be disingenuous and exploitative in its coverage of clinical trial deaths in that country. (My previous thoughts on that are here.) Kiran Mazumdar-Shaw, an industry leader, has put together an intelligent and articulate antidote. Rahlen Gossen exhibits mastery of the understatement: “Though the Facebook Insights dashboard is a great place to start, it has a few significant disadvantages.” She also provides a good overview of the most common pitfalls you’ll encounter when you try to get good metrics out of your Facebook campaign. I have not had a chance to watch it yet, but I’m excited to see that theHeart.org has just posted a 7-part video editorial series by Yale’s Harlan Krumholz and Duke Stanford’s Bob Harrington on “a frank discussion on the controversies in the world of clinical trials”.